Do you love football? Do you love colour? More specifically, what are your thoughts on the Brazilian colours, like green, yellow and blue? Well then this fantastic sports sticker might just be the one you have been looking for! Depicts a football, with the Brazilian colours exploding away from it! 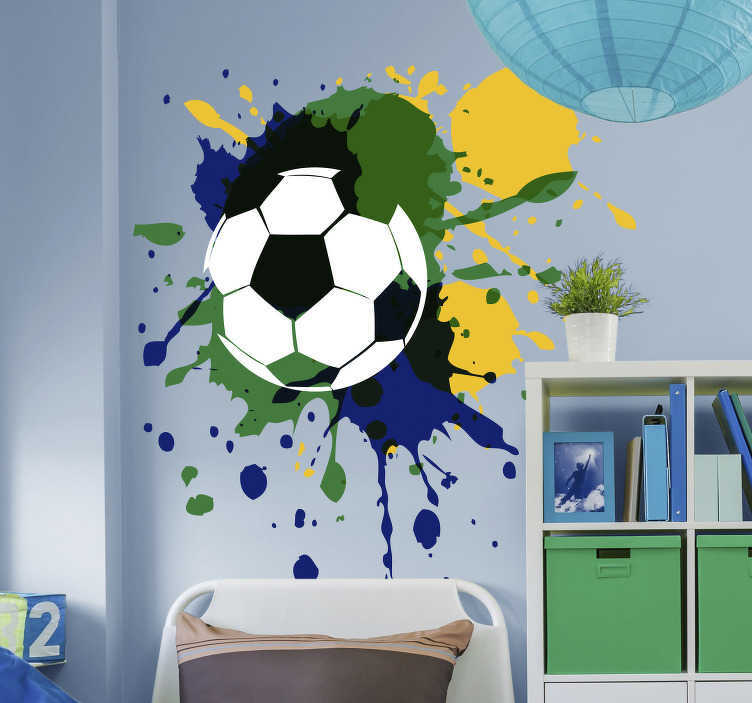 Ideal bedroom decor for all those children who want to play the beautiful game in the Brazilian way!